Have you seen these mini supermarkets at the Muster? TWO Kelly Co. vending machines acting more as mini-supermarkets are one of the new additions at this year's Gympie Music Muster. 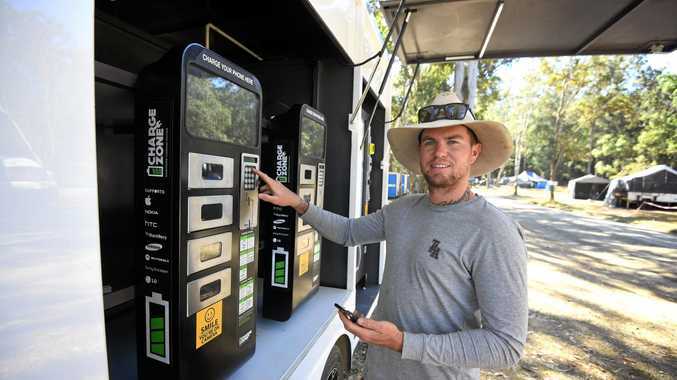 Food, drinks, sanitary products and even phone charging stations make up just some of the high-tech machines' features, with one located on Slim Dusty Drive and the other at Nashville Park. "All the stages have been moved a little lower to the ground this year to create a bit more of an intimate setting, especially with the venues that are closed in," Muster Marketing Manager Lori Hoffmann said. 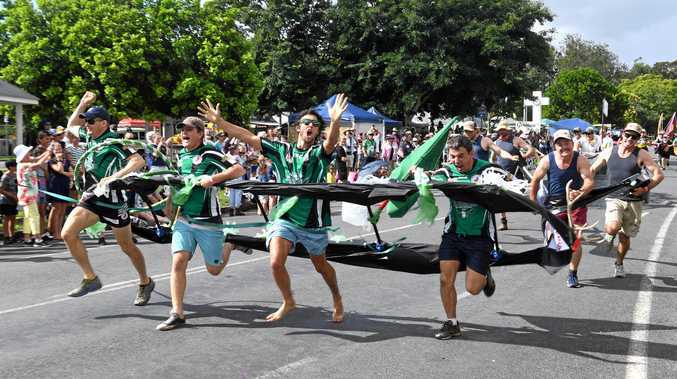 Also new to the program is Friday's sold out Biggest Ever Blokes Lunch, hosted by the Prostate Cancer Foundation of Australia and generated from the Muster-driven charity and community group donations. And, a newly-introduced competition will see festival-goers competing to be awarded the Best Castle in the Campground. XXXX and OzTrail are awarding their own prizes for specifically designed campsites, while a people's choice award is also on offer. Find out more at www.muster.com.au/win/.